Notes: Designed by Dr. Xin Ra-Havreii at the Utopia Planitia Fleet Yards on Mars, the Luna class was intended to exploit the Bajoran Wormhole and carry out exploration missions in the Gamma Quadrant. 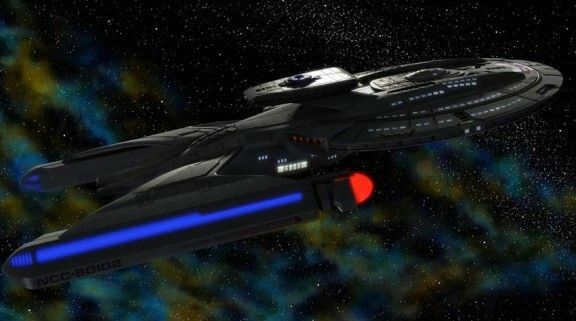 The Luna project was suspended for the duration of the Dominion war, but once the war was concluded and the Federation began to return to a peacetime basis, production of the ships was resumed. The Luna class ships were not heavily optimised for combat, but rather for long duration missions of peaceful exploration. The class were named for moons, with the first ships all named for moons in the Sol system.